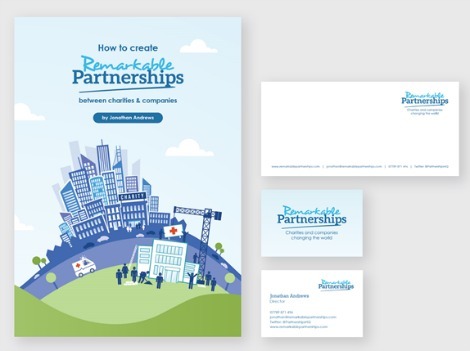 We recently started working with an amazing new client called Jonathan Andrews, who’s business is called “Remarkable Partnerships” and creates Remarkable Partnerships between charities and companies. Jonathan’s business had a different name when I met him at KPI – and in the last couple of weeks a lot has changed. And we are proud to be a part of this huge transformation! 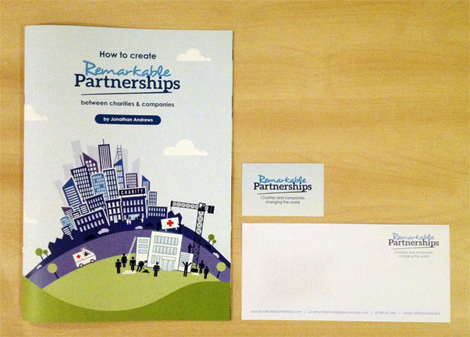 Jonathan had spent a considerable amount of time researching, interviewing and writing a report called “How to create Remarkable Partnerships between charities and companies” and he wanted our help with the design of the cover. We had a tight timescale as he was due to post the report to 50 recipients in just a week and a half. And, unexpectedly (and encouraged by me, as it made so much sense) Jonathan decided on a weekend (not on a whim) to change his company name as well. This meant a lot of other things had to change. On his website, we needed to morph his old site into his new site. Morphing is not a technical term, but it makes sense in this context. But, we did a small makeover – consisting first of mockups of how changes would look on the slider area of his homepage, and once he approved those, implementation once the new designs were approved. The domain name needed to change too – and luckily, his previous website designer was extremely helpful in getting us the files we need and registration of the new domain name. But there was no time to lose! 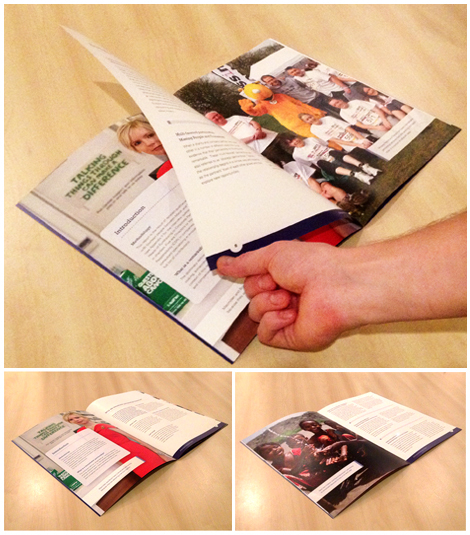 And while we were at it, Aric designed and organised print for compliment slips and business cards. We even brought in people to help with the posting of the report. It was a real team effort, led mainly by Aric but at times all hands were on deck – and Jonathan came personally to our office to pick up the reports and hand write his messages on his new compliment slips. He brought Ferero Rocher!